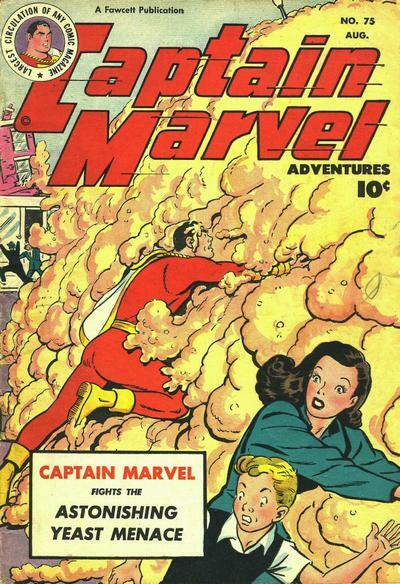 Or Captain Marvel, if you prefer. Or even Captain Thunder! My lord, is this a pretty cover. This is the Convergence title I have been the most excited about, bar none. Jeff Parker and Evan “Doc” Shaner are a Big Red Cheese Dream Team and DC should just hand these guys an ongoing. 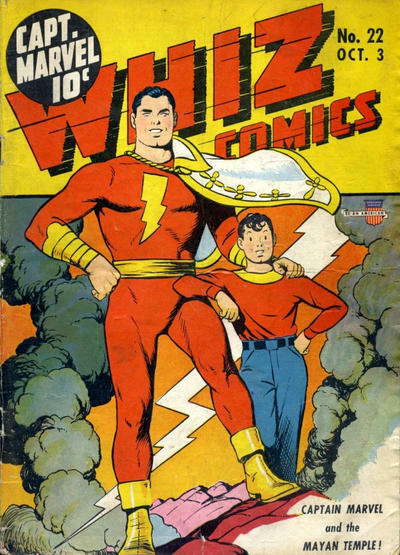 Anyway, this week, in our latest Convergence spotlight, Shazam! 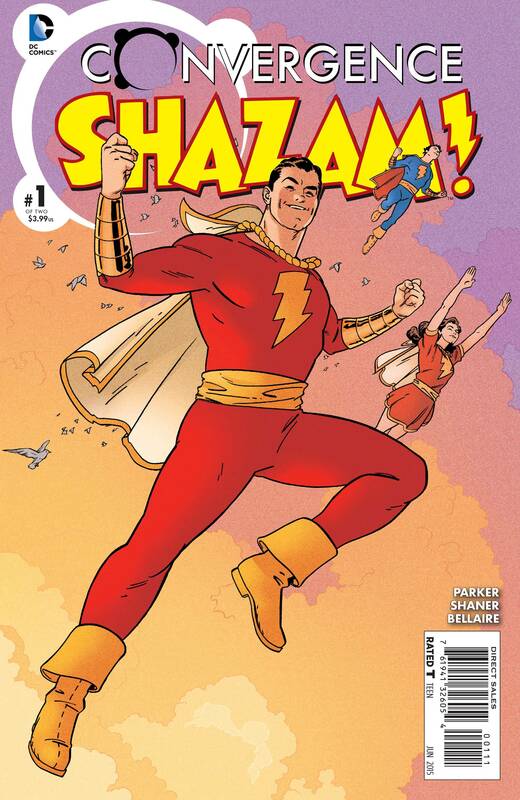 artist Doc Shaner picks his fave Marvel Family covers! 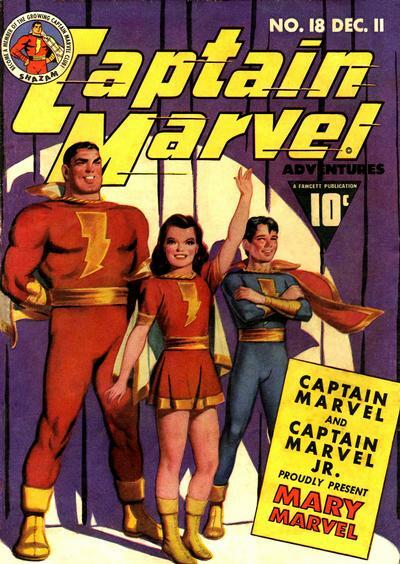 Dan Greenfield: What are your favorite covers starring Shazam/Captain Marvel? 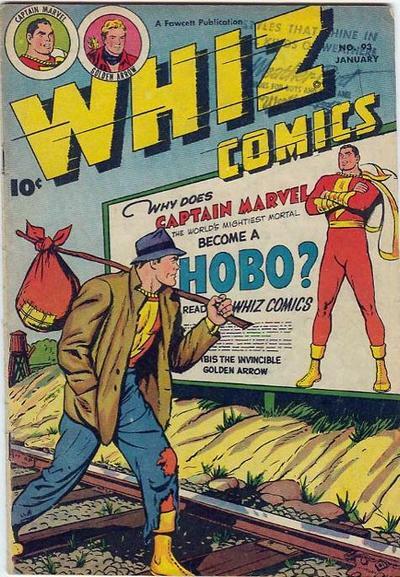 Dan: What’s the most fun part of working on Convergence with the Shazam Family? Doc: I’ve dreamed about working on these characters for a long time now, and never thought I’d get the chance. Just getting to draw Cap, Mary and Junior together, fighting the good fight, it’s been a blast. Dan here. While I concur with Doc‘s picks, I gotta throw this bit of awesome out there too!